Nigeria is a tropical, sub-Saharan country in Africa often referred to as the ”Giant of Africa” because of its population. It has 36 states with its capital in Abuja. Nigeria is located in West Africa and shares land borders with the Republic of Benin in the west, Chad and Cameroon in the east and Niger in the north. Its coast in the south lies on the Gulf of Guinea in the Atlantic Ocean. Nigeria is the most populous country in Africa and the seventh most populous country in the world with a population of over 180 million . There are over 300 ethnic groups with Hausa, Igbo and Yoruba having the largest population and officially recognised as Nigeria’s major ethnic groups. Nigeria has 2 major religions – people who live mostly in the southern and central parts of the country are Christians while Muslims are concentrated mostly in the northern and southwestern regions. A minority of the population practice Traditional religion. Nigeria achieved independence in 1960 and on the 6th of July, 1967 the country was plunged into the Biafran war, a civil war which ended on the 15th of January, 1970. 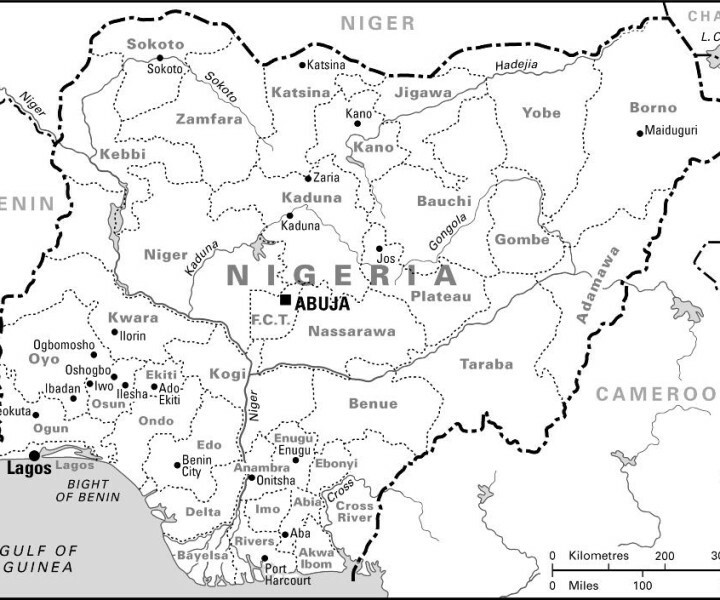 Nigeria has its origins in the British colonisation of the region during the late nineteenth to early twentieth centuries. It emerged from the combination of two neighbouring British protectorates: the Southern Nigeria Protectorate and Northern Nigeria protectorate. The country practises the presidential system of Government, comprising of three (3) tiers – the Executive, the Legislative and the Judicial – with each acting as a check for the others.